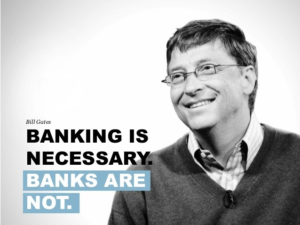 Banking, as a domain, has always been a competitive one. To keep up with the pace of the dynamic nature of this sector, banks & financial institutions are gradually making the shift to experiment with newer technologies, like Open Banking and innovative concepts like FinTech, designed specifically for the banking sector. The basic idea behind all these innovations remain to offer a better experience to consumers and leverage the choice of integrated systems that are widely available today. The impact of technology in making our lives better and smoother can’t be overemphasized enough. FinTech (an excellent combination of finance and technology!) is one such area making the traditional banking system seem redundant with each passing day. The rise of Fintech sector has been exponential in the last few years with Fintech adoption seeing a sharp rise globally from 16% in 2015 to 33% in 2017 on an average. Open Banking API (Exclusively covered as Open Banking API: A Journey, 1st part of this series of 3) is the newest offering of FinTech that holds immense potential to bring about a transformational banking experience to its end users. However, before making the switch to Open Banking, it is essential to understand what the concept is trying to achieve and who will it really benefit? So What’s the Buzz called ‘Open Banking’ All About? With Open Banking, banks are moving to Agile technologies, building strong partner networks, and creating robust mobile platforms which cater to consumer’s needs, thus enabling direct financial transactions between customers and businesses and making cross-platform payments a reality. It works as a systematically designed collaborative model. Here the customer’s banking and other financial information/data is shared to trusted third parties (with the customers’ consent, of course!) through APIs with the aim of offering enhanced capabilities to the users. 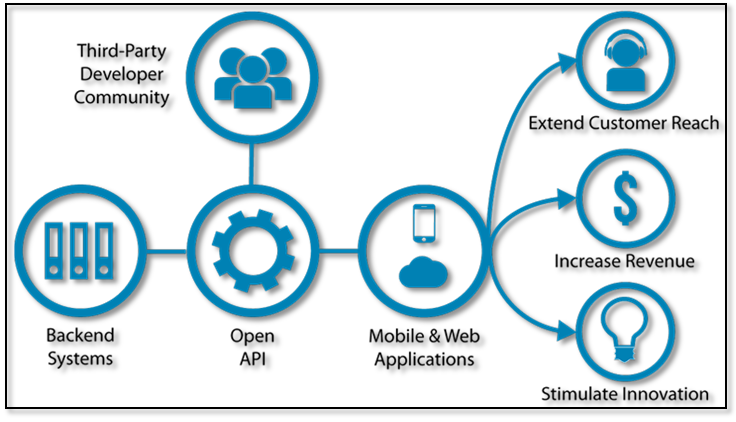 The use of Open APIs that enable third-party developers to build applications and services around the financial institution. Greater financial transparency options for account holders ranging from Open Data to private data. The use of Open Source technology to achieve the above. In short, “Open Banking is the possibility of creating new digital business and ecosystems through APIs provided by the banks. To generate new revenue streams, and to create a long-term sustainable service model for the industry as a whole. Who will ‘Open Banking’ Really Benefit? The benefits of an Open Banking model aren’t just limited to consumers but extend to service providers as well. It benefits, one and all, associated with it. As a service provider, banks generally offer limited options and the same services to all their customers. Open banking, on the other hand, gives the benefit of choice to customers as they now have the freedom to select from multiple service providers available. It also empowers customers to take charge of their finances and make informed decisions to manage their accounts. With Open Banking APIs, customers won’t have to wait in long queues to make purchases using physical wallets at stores. The concept will allow emerging technology applications such as Google Pay, Samsung Pay, Apple Pay, PayTM etc. to make payments using digital wallets using your Smartphone or smartwatch. Increased number of migrants across the globe for better economic opportunities means an increased amount of money to be sent back to their families. Banks have always found international money transfer and remittances to be a painful and expensive process.Instead of paying a large transfer fee to the ‘money transfer businesses’ or facing the lack of proper setup, especially in rural areas, FinTech companies like NDASENDA, have made this entire process extremely simple, smooth, less expensive, and much faster. Thanks to Open API, the money can be transferred, services can be bought and bills can be paid seamlessly by using one single mobile App at the comfort of your home. Various service providers such as We Swap, World Remit, mPesa etc. are offering ‘currency exchange services’, by using Open Banking, in a very secure and seamless way to transfer even minuscule amounts of money overseas. Open banking holds the potential to offer customized and relevant product & service options to the consumers which most banking apps fail to do. Open banking APIs introduce the concept of service personalization in banking to benefit customers immensely. Customers can now have access to multiple accounts in one place. The customers will be able to enjoy the best deals available with greater transparency. An opportunity is here to see your current financial position in a single application on your Smartphone. It is just a matter of ‘single click’. All the financial data at one place gives the consumer the leverage to take quick credit decisions and avail the best deals possible. Open to better offers by credit providers and instant credit and remittance of the same. With all the accounts linked together by an app and available on a single platform, the consumer is ‘all-powerful’ to make a choice in how to pay. This will also bring in some innovative offers by the banks and the financial institutions to make new customers and retain the old ones. It’s raining Profits! Open Banking gives an opportunity for banks to stay ahead of the competition by letting them explore data-sharing agreements with fintech and other non-financial service institutions. The model allows banks to be futuristic by letting them understand both data privacy mandates that exist as well as the likely changes they need to adapt for a better customer experience. Thus making decision-making foresighted and insightful. Open Banking APIs aids banks in enhancing their appeal as an entity thereby enabling them to fulfill the constantly changing demands of both existing as well as prospective customers. Being ‘Customer Centric’ is the key. With Banks and Fintech merger, by using Open Source technology, together they can offer customers a holistic service or product, which will increase the customer satisfaction, loyalty, and certainly, revenue. The Open Banking offers an excellent opportunity to fintech organizations to meet the consumers’ requirements for new and better services such as personal finance management, account comparison, and access to credit services through a single application. With growing competition in the banking sector, most banks are looking to leverage FinTech for their benefit. Open Banking offers them the opportunity to extend their services offering for better customer engagement as well as retention. There is no denying the fact that FinTech usage has risen significantly in the last few years with an increasing number of players adopting this robust technology to offer better services. However, there is still plenty of room left to grow and prosper. With Open Banking carrying the potential to change the way we bank, the need of the hour is to use technology mindfully. Also to keep the consumer’s trust intact by taking necessary measures before authorizing third parties to access customer data. Teknospire is a FinTech company where we have built and deployed solutions, helping the service aggregation companies, mobile financial services, banks, micro-finance, and insurance companies. Their collaboration with Teknospire has given them the leverage to extend their reach out to the rural areas with the ‘customized solutions’ that are ‘just right’ for them by extending their technology and current solutions. Take a look at Teknospire’s approach in building Financial Inclusion @Last Mile and how through lean technology we can help consumers and financial institutions to achieve it. Listed with Oracle marketplace, Teknospire’s API can be used for creating, authorizing, capturing, voiding, refunding a payment as well as getting information on previous payments. Teknospire is proud to announce their collaboration with Mann Deshi Banks and Manappuram Finance limited as technology partners. With Teknospire’s mission to enable banking for every individual, you can also reach to us in Mozambique, Zambia, Nepal, U.K., Bangladesh, and Zimbabwe. Changes of convenience become normalized very quickly. Physical Payment Cards might share their storage box with audio cassettes and LPs. Well, you ‘Never Know’. The concluding part, coming soon, in this series of three, ‘Open Banking: End of Card Payments?‘ will give more insights. Open Banking: Is it comforting to customers? Keep looking for this space and subscribe to our blogs to stay abreast. Happy Exploring! With 'Omnichannel' transformation in place, banks are reshaping themselves to offer digital banking solutions on a single platform for better UX in US.